Light violet to deep purple in color, amethyst is one of the most highly-prized of the semi-precious quartzes. 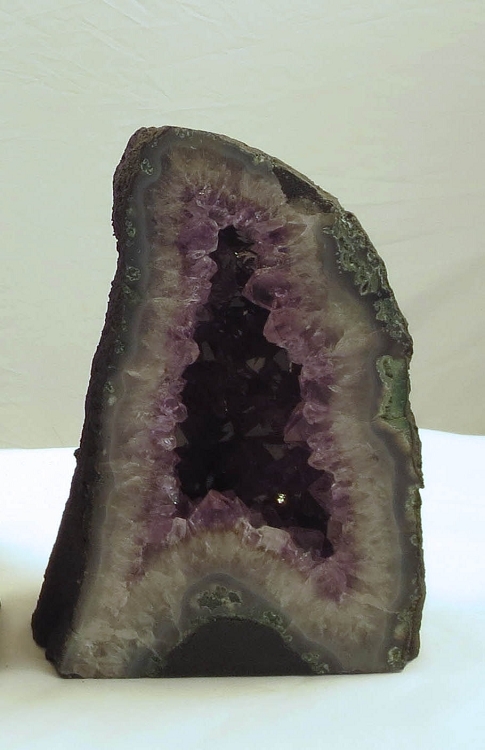 Huge geodes are cut open to reveal gorgeous crystalline structures. The edges are polished and the outside skin is usually covered with a dark green or black sealant. This high-quality amethyst is found in Brazil and Uruguay.